We met on a group trek that Krishna was guiding in the Annapurna region in 2012. Hitting it off instantly, we’ve been friends ever since! We love trekking and just get on really well together – well most of the time! 😄 We’re not sure why or how, but our fates seem tied. We started working together to improve Krishna’s standard of living by sourcing more clients for his independent treks. We built a steady following for ‘Trek Nepal with Krishna’ and Krishna received great review after great review! In mid-2017, Anna left her career in New Zealand and moved to rural France with her husband. 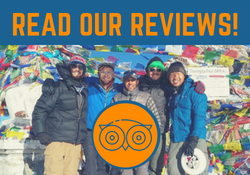 It was the perfect opportunity for us to get serious and realise our dream – to create an amazing Nepal trekking company! We know we’ve got what it takes. With our complementary perspectives that span two very different cultures, we really are in the best position to organise amazing experiences for travellers in Nepal! 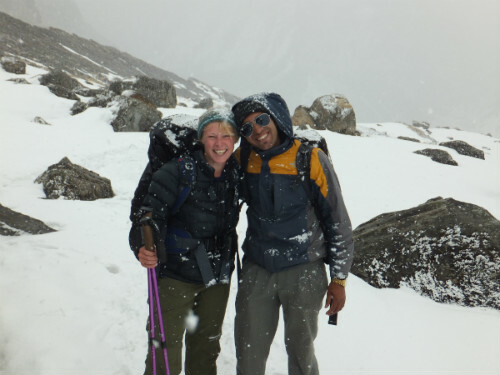 Krishna is one of the best and most experienced guides in Nepal and Anna is a customer experience expert from the UK with great knowledge about trekking Nepal. With our powers combined, we make the perfect team to organise your fully customised authentic trip in Nepal on a budget that suits you. We answer all enquiries personally and love getting to know our clients during the planning process. We know what’s important and we go out of our way to make sure you’ve got all the information you need before and during your trek. We want you to have complete confidence in your trip to Nepal and all for a great value price! We’re a registered Nepal trekking company and we meet all official and legal requirements. Rest assured, you’re in safe hands with us. Read more about us and finds lots of useful and interesting information about trekking Nepal in our blog. 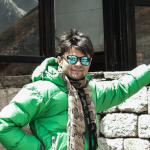 Krishna is the founder of Nepalorama Trekking and manages operations in Nepal. He has fifteen years of trekking experience in Nepal and has been guiding treks since 2010. He’s well known for his warm sense of humour and cheeky smile! Nepalis are understandably proud of their beautiful country and Krishna is no exception! There’s only one thing he loves more than trekking in the Himalaya (and dal bhat) and that’s sharing Nepal with people from around the world! If you’ve trekked with Krishna, you’ll agree that he seems to know everyone in Nepal! He works closely with our guides, porters and large network of business partners to make sure we can provide the best service and the best deals! Anna is our friendly and energetic trek coordinator. She loves to travel and has spent lots of time in Nepal, Thailand, Australia and US. Originally from the UK, Anna lived in New Zealand for eight years and now lives in the French Alps. Anna has worked in customer service for many years, managing operations teams. 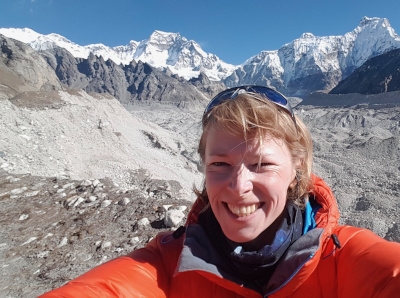 With Nepalorama she blends her skills and experience with her passion for trekking Nepal – a magical combination! She loves working with clients to customise unforgettable adventures. When you contact Nepalorama, you’ll hear directly from Anna and you’ll know instantly that you’ve made the right decision to contact us! Find out even more about our amazing founder in this interesting and funny interview! 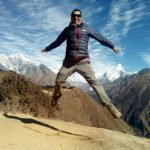 Meet Nepalorama Trekking Guide Bibek! Read an interview with our kind and gentle Bibek – trusted Nepal trekking guide! 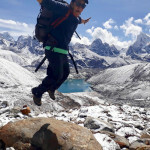 Meet Nepalorama Trekking Guide Ramesh! 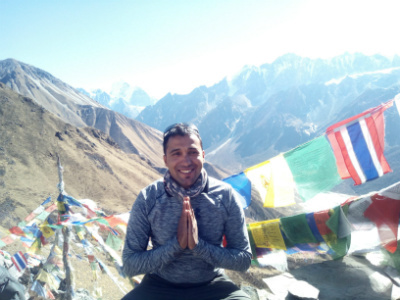 Read an interview with our own ‘Bollywood guide’ Ramesh – he’s a fun-loving and super friendly Nepal trekking guide! 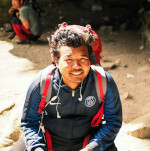 Meet Nepalorama Trekking Guide Buddhi! Read an interesting and factual interview about Nepal and our own professional trekking guide Buddhi!